Activity books. Super under-appreciated, in my opinion. In the day of mindless social media and gaming, I think it's really nice to be able to hand a kid a book and say, "Here's a bunch of really cool ideas and activities, why don't you give it a browse?" But then again, there are SOO many diferent kinds of activity books to choose from! Where to start? What's even worth it? Well, this list may be able to get you started. 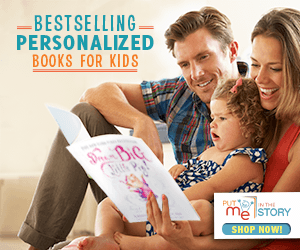 Whether you're looking to expand your library collection, add more independent-learning-fun to your home schooling, or (better yet) looking to get your kids thinking and moving during the doldrums of summer vacation, hopefully this will get you inspired. 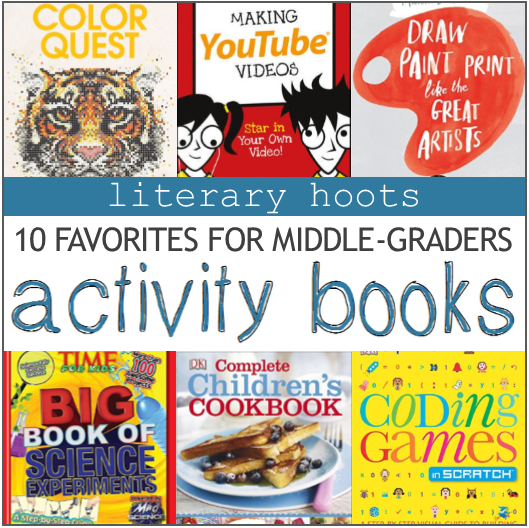 Trust me, these books will get kids thinking creatively and having fun, just in time for summer! 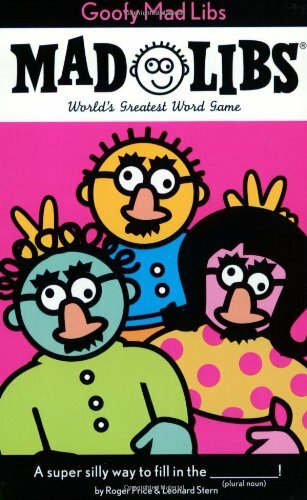 For the list, I tried to find books that appeal to all kids that are around 8 - 12 years old. There's a range of subjects, supplementary materials needed, and book use (like whether it's just a reference/jumping off point, or involves writing/scribbling/coloring its pages). Check out what appeals to you! 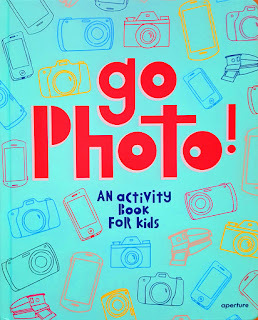 Okay, to be honest, this was the book that got me thinking more about awesome activity books. Because this one is (spoiler alert) awesome. 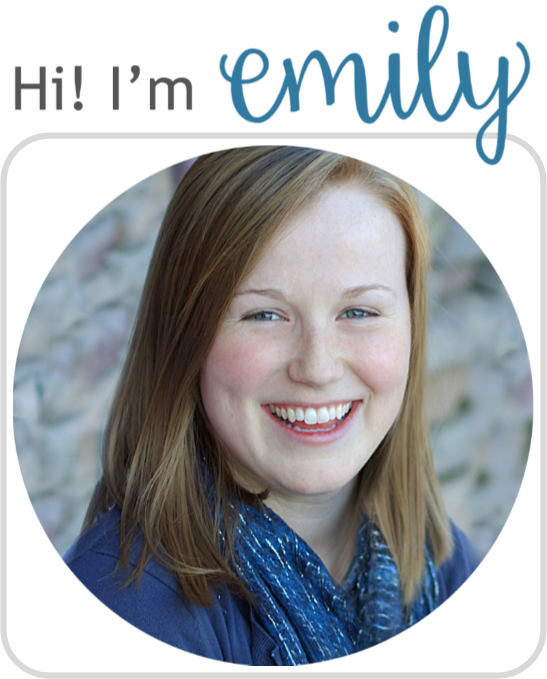 My original review (with one more day to enter the giveaway!) is back here. While kids will need access to some sort of camera (even a phone will work) and some supplementary crafting materials, there's a good range of ideas to get kids moving—either alone or with friends. The glossary of photography terms, tips and tricks are all super helpful to budding photographers, too. 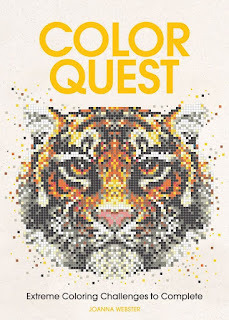 This is not your average coloring book. And it's not like the popular adult coloring books/zentangle stuff that's out there, either. Oh, no. This is for the kid who thinks all of those are boring, or too easy. 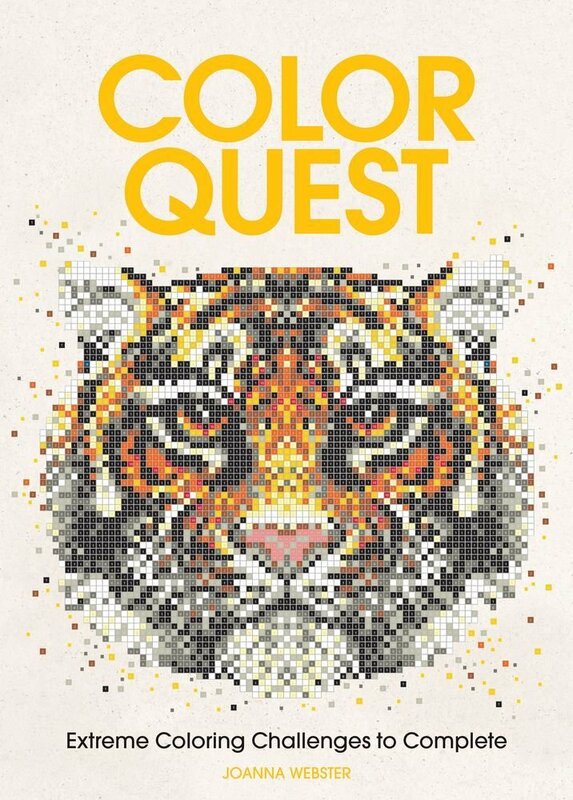 This here is a challenging, yet supremely satisfying coloring book that is an awesome cross between paint-by-numbers and a piece of graphing paper. Yep. Sure to keep anyone occupied and happy. It being a coloring book, it's harder to have for a library collection (one use, I know), but still! Highly recommended. Star Wars fans and origami fans unite! 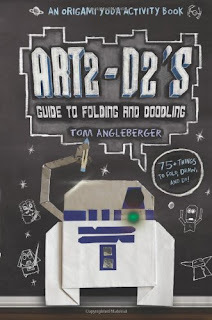 Or, you know, fans of the Origami Yoda books. This is full of how-to's straight from the series. 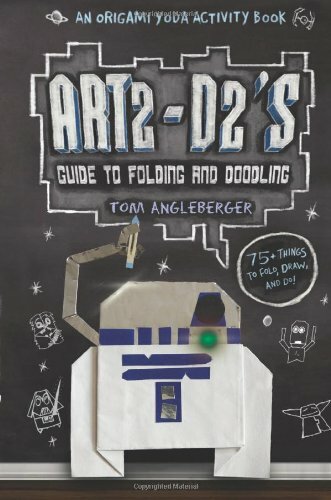 But if your child is, perhaps, ready to graduate to something more difficult (or hasn't read Origami Yoda) then definitely try Star Wars Origami, too (that book actually includes the specially designed paper—two for each of the 36 projects). Any of them. All of them. They're classic—for a reason! Hilarious, while being subtly educational (practicing those parts of speech!). Kids can have fun alone or with friends. There's so many you can choose from to suit your fancy. Simple, cheap, and great fun. 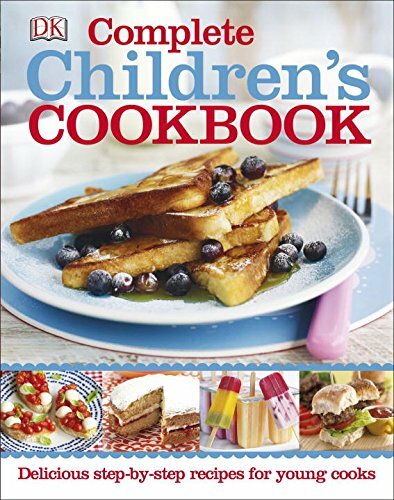 There are a lot of cookbooks for kids. And while I definitely recommend browsing, there are a lot of elements that I like about this one. Mainly, all of the recipes are fully photographed, including the step-by-step instructions. The text is very explanatory, defining all of the cooking terms and providing food facts. And, of course, there's also a good range of recipe options to try. I will admit, though, that I wish it was spiral bound. But man, I think I need to get a copy for myself (my family would thank me). It's genius. 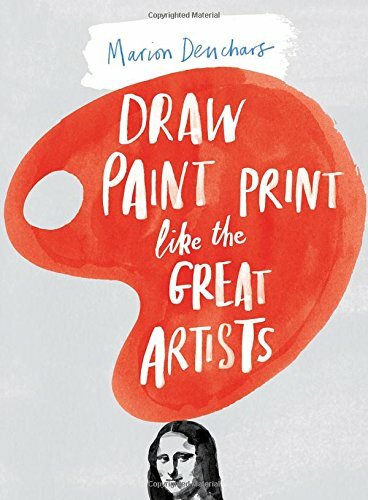 It presents different artists and their styles (how to recognize their work) and then leaves big, blank pages ready for kids to try it out. And Deuchars picked really fun artists to mimic—Salvador Dali, Andy Warhol, Frida Kahlo, and Joan Miró to name a few (and included a helpful glossary of all the artists in the back). A range of art materials will be needed to do the variety of projects but kids are free to create as they please! You know the For Dummies books? 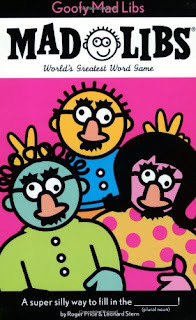 Yeah, they make books for kids (Dummies Junior). And they may look small, but they're packed with useful information and pictures. This particular one is all about making movies. I found this rather engaging with all sorts of useful tips and legitimate director how-tos. It's not just uploading a video to YouTube, it's an art form. Okay, yes, this book is big. And might be intimidating. But in true DK style, it breaks it down, spacing ideas out on each page and is hugely informative. Have you heard of Scratch? It's a genius website from MIT that helps teach kids all sorts of basics about coding. So this book is like the how to of that how to, helping to break down the information more than the website can. It's great for the budding computer tech. 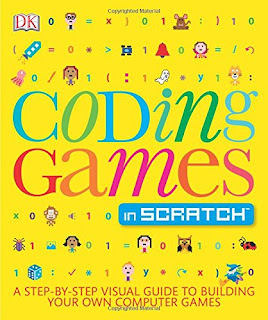 Or, if you have a Minecraft fan, there's SO MANY books to expand on a kid's coding ability through that game. Computers are the future, man. Diary of a Wimpy Kid books are the most checked out series at my library. So why not get the kids even more involved? 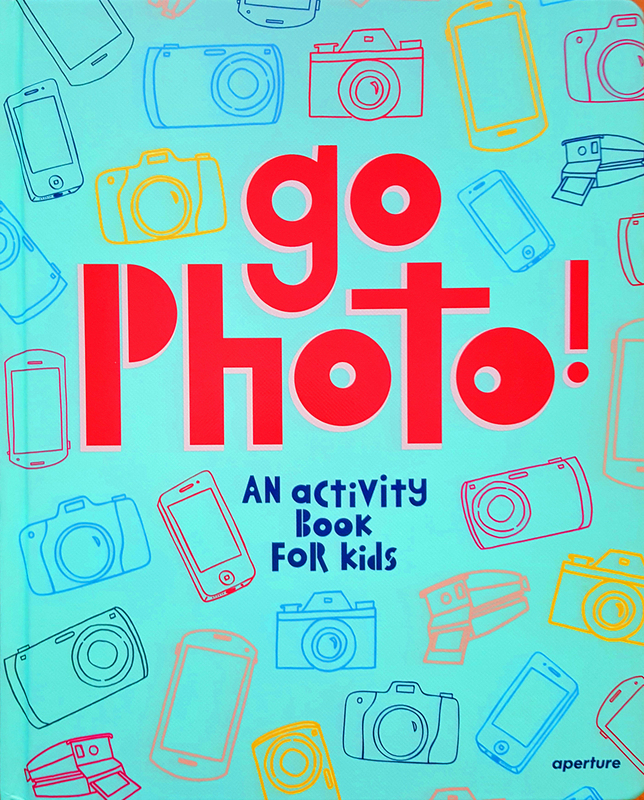 This gets kids journaling themselves with all sorts of fun prompts and ideas. 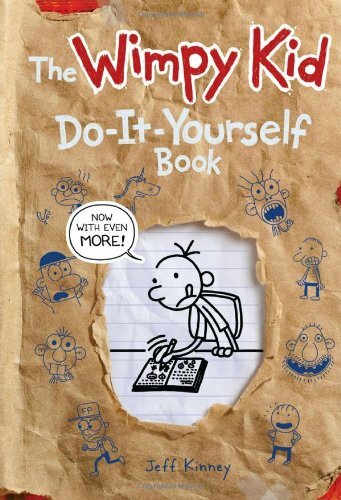 Of course, you don't have to use Wimpy Kid; perhaps your kid is a fan of Dork Diaries (OMG All ABout Me Diary or How to Dork your Diary) or Dear Dumb Diary (Our Dumb Diary) or whatever the preference may be. On a slightly-different-but-still-relevant note, I would recommend Been There Done That which is an anthology of true stories from some of the best middle-grade authors. 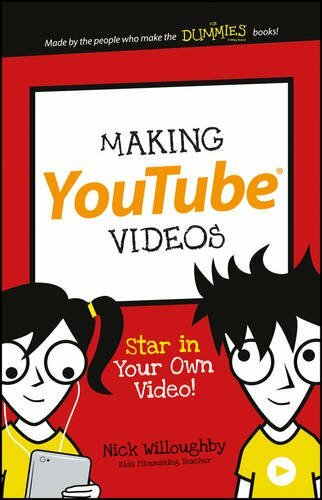 It can help get kids to write their own true stories! 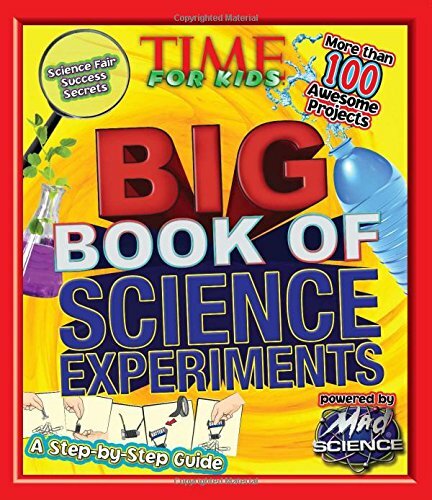 Got a budding scientist? This book is one of the best to get kids thinking, experimenting, and learning. It helpfully breaks down ideas into different categories (e.g. Earth Science, Life Science, Physical Science) and then asks a range thought-provoking questions (e.g. "Are clouds salty?" or "Which bridge design is sturdiest?") with experiments to find the answer. And it also explains all the science behind it. It's really quite thorough. Random supplementary materials are needed, of course, and time on the experiments can be anywhere from an hour to days. Try it out! I plan on looking into even more activity books. 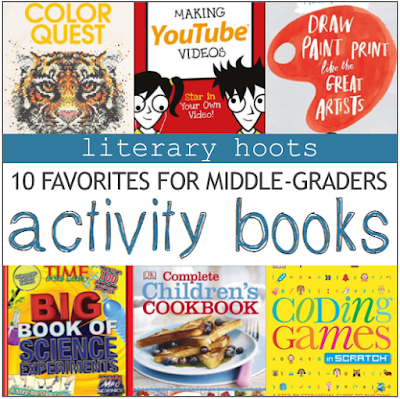 They provide a base for so many ideas that can be used anywhere—library, school, or home. What are some of your favorites?